Turning a Lead into a Closing is the Realtor’s Biggest Challenge! You've learned and used all the scripts in Real Estate, and so has every other Realtor. What can you do to make yourself stand out in that crowd? Video! But NOT just any video! Hello, I'm Jon Stroud and I've been a top-producing Realtor for over 14 years. I have a proven track record, earning accolades, such as “Realtor of Distinction” and staying in the top 5% of producing Realtors for several years. Watch my video now to see how call-to-action videos have helped me to build my real estate business. "But video is hard to use, right?" "And besides, I don’t like the way I look/sound." "I’m not a technology person, so I would not know how to start!" 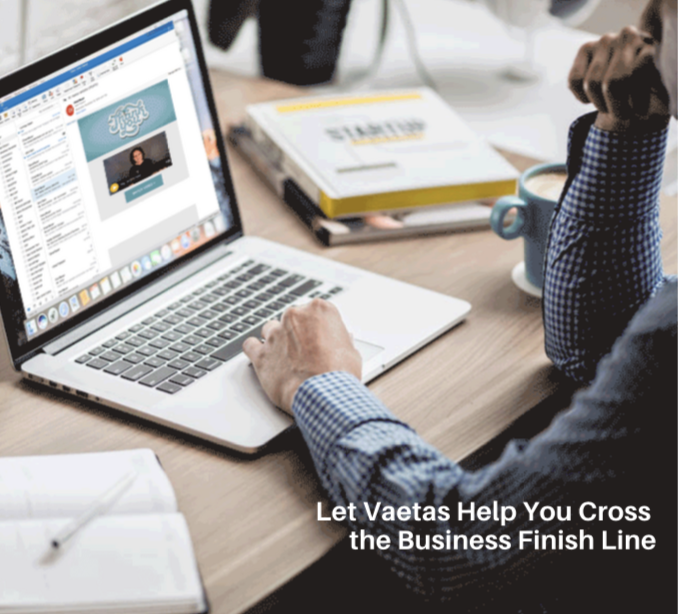 Turn your Leads into Closings with Vaetas Connect! At Vaetas, we’ve handled the technology side of this. All you have to do is provide your expertise on how you can help people with Real Estate, record it as short-personalized videos with our recording tools, and Vaetas Connect will do the rest! All with point and click simplicity. And with our patented Call-to-Action technology, YOU control your viewer’s next steps! Viewers can email or call you back right from your videos that play full-screen for maximum engagement. They can also schedule a meeting and even download your real estate documents. Or, you can automatically send them to your listing pages. And with our patented Call-to-Action technology, YOU control your viewer’s next steps! The Vaetas strategy is to help you grow your business! Know you need to use video to build your business? Not have time to learn a new technology. Desire an easy/cost effective solution? Think like a Business Owner? Invest a small amount to find large returns? If so, then Vaetas Connect is the solution you've been searching for! Quickly build your personal brand and communicate your expertise in the field of Real Estate. The competition is becoming fiercer and people are more distracted. Get past the noise and distractions to reach your potential customers. Videos increase the likelihood your emails and texts will be opened! Connect more. 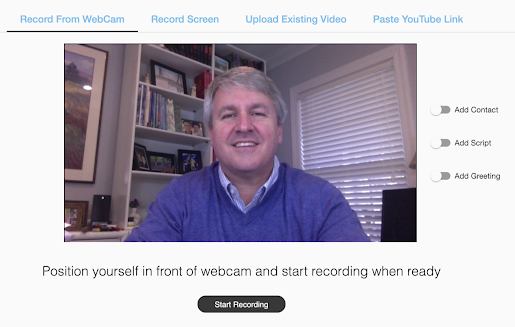 Recording personalized videos - When you’re ready, you can begin at the Video Library screen to record your videos. You have the options of using your mobile device, webcam, recording your screen (with/without your webcam), uploading a video or importing videos from YouTube. NO Web pages are required to host your videos. 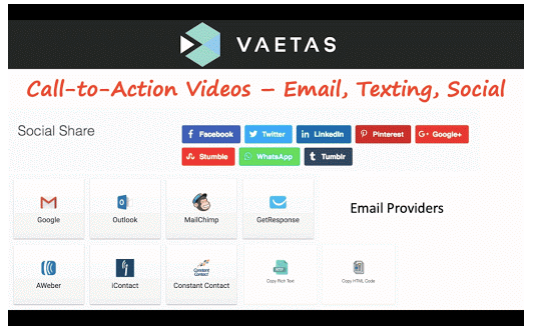 Vaetas Connect provides email templates that are mobile responsive. A static image or animated graphic (GIF) of your video is automatically created and embedded in your desired template. 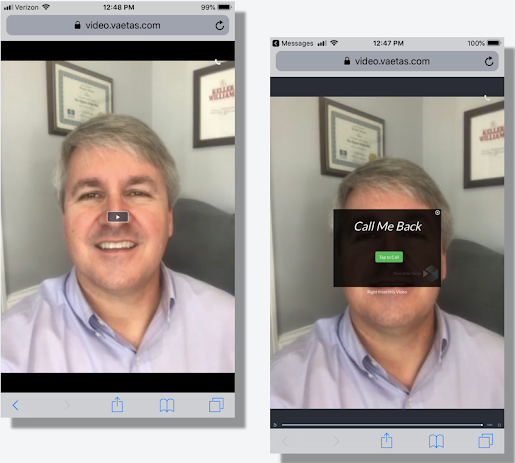 The Vaetas Connect Difference Potential customers can now take action from full-screen videos WITHOUT the need for a landing page or sending your prospects directly to YouTube like other systems. You choose the call-to-action, and you are in control of your viewer’s next steps! If you email your list, the stats also inform you of which user email addresses watched your video. These are your engaged audience. You’re going to be pleasantly surprised at how affordable Vaetas Connect is for the power that it provides. We offer a 15-day risk free trial. There are no restrictions and includes access to both our web and mobile apps. You can send unlimited personalized videos via email, text messages and social media messaging during your trial. If you decide to join our Vaetas community, Vaetas Connect is only $25 per month or $250 per year. With our annual plan, you get two months free. This brings the cost down to $20 per month. We have an extensive FAQ page that you can visit to answer all your questions concerning both Vaetas and our product, Vaetas Connect. You can visit it now. Our FAQ page opens in a new browser window. You can also sign up for your trial on that page as well. We're looking forward to having you part of our Vaetas Community. Thank you and wishing you continued success from the entire Vaetas Team.